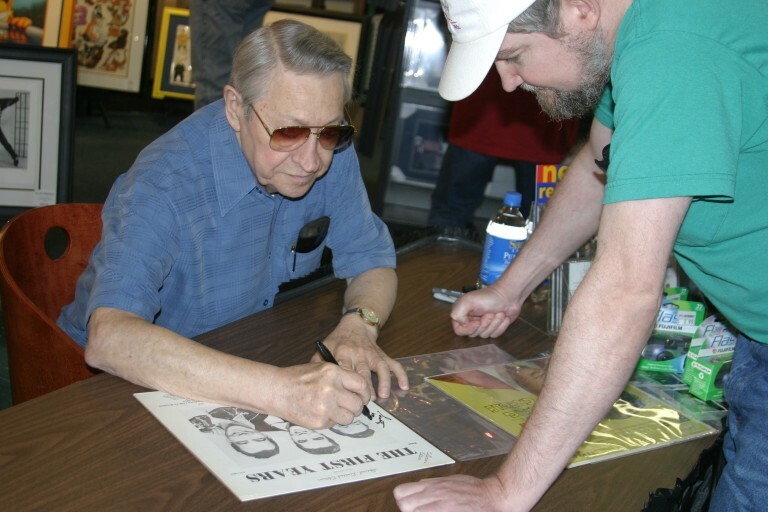 On August 14 during Elvis week 2004 in Memphis Scotty did an autograph signing at at Spin Street Records on the corner of Poplar and Highland. Spin Street is a new record store there that in addition to music and films, sells many autographed sports and fine art items. 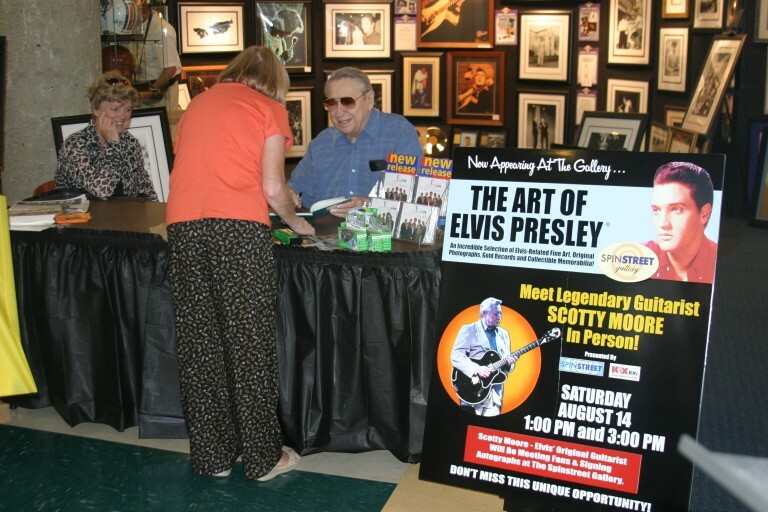 For a limited time they are selling "an incredible selection of Elvis-related fine art, original photographs, gold records and collectible memorabilia". They had Scotty come down as part of the promotion and since I was in town I tagged along too. A lot of fans had heard about it and came down with items to be signed. Several brought their old records and guitars, including Jon Hornyak. 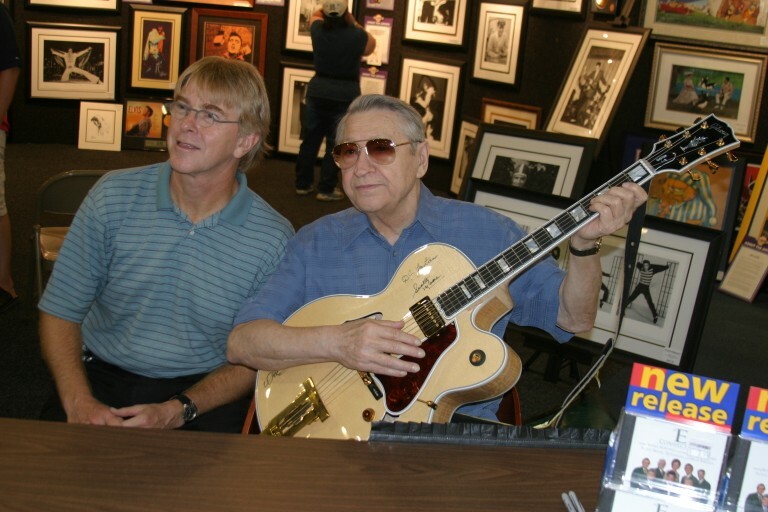 Jon is the Executive Director of the Memphis Chapter of the National Academy of Recording Arts & Sciences, Inc. 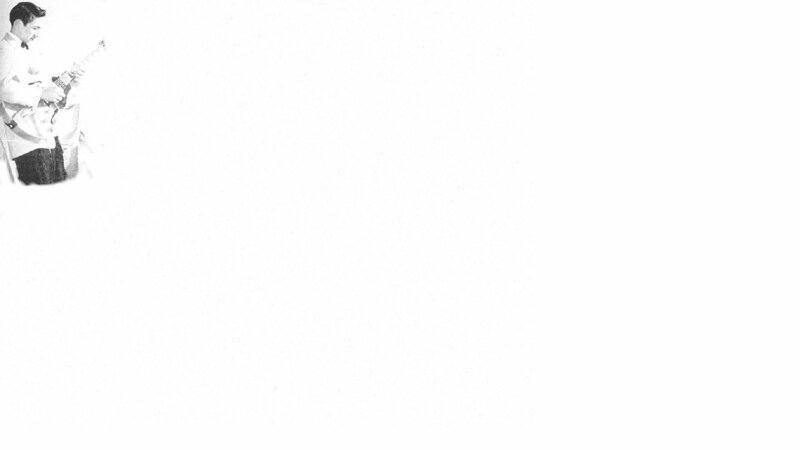 (N.A.R.A.S. ), the ones that give out the Grammy's. 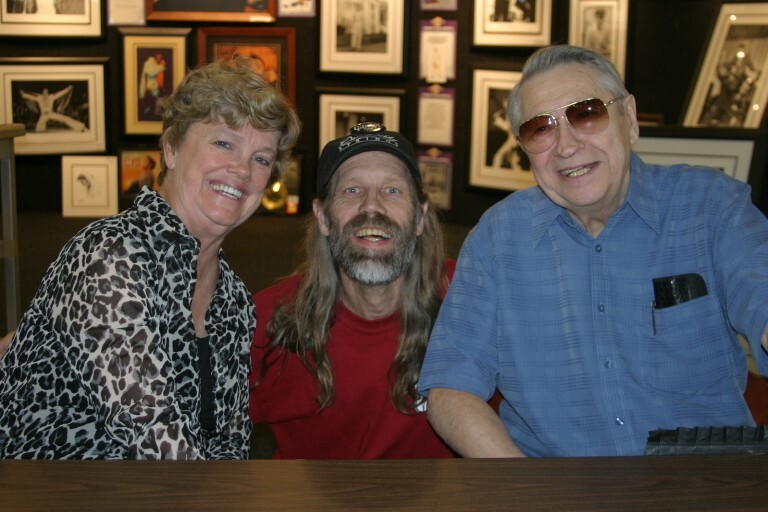 This past April they presented Scotty with one of the first Memphis Music Heroes Awards. During the presentation last April they also made a trip out to Spin Street for the unveiling and autographing of new artwork. At that time they had Scotty, D.J. 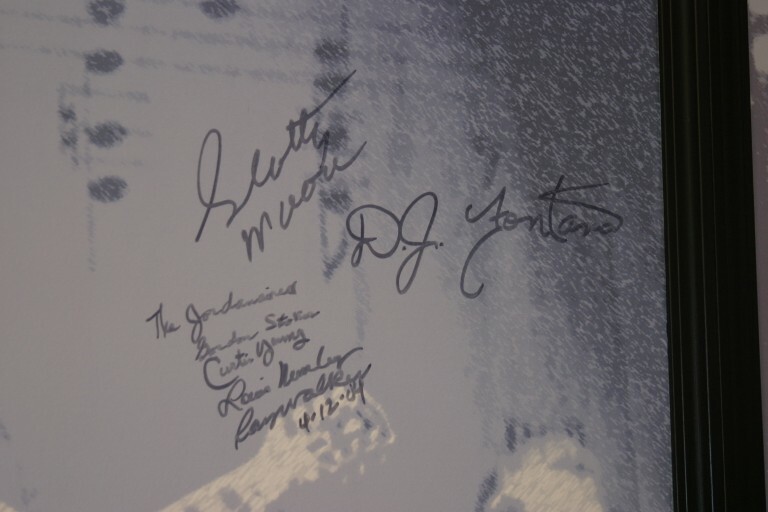 Fontana and the Jordanaires sign a large artwork that is part of the backdrop of a stage there. 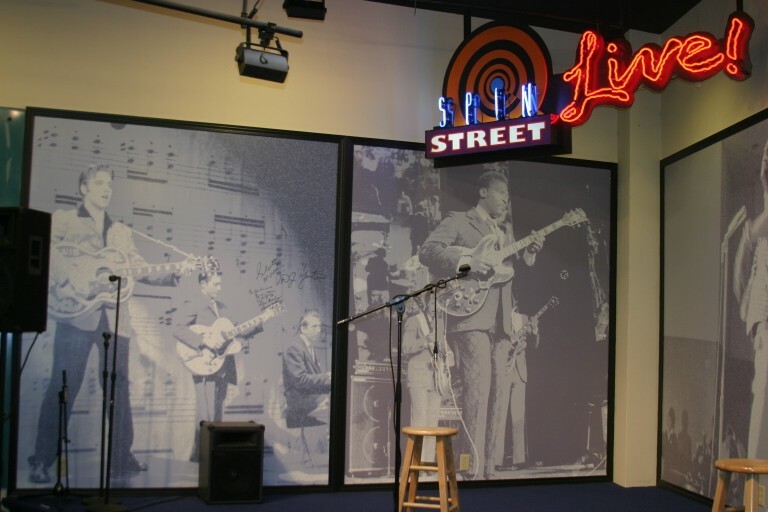 The stage is frequently used for in-store performances of performing artists. 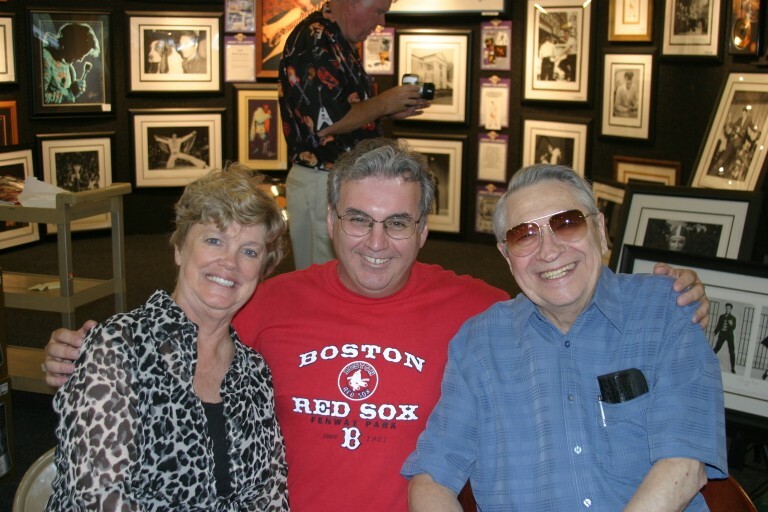 In addition to Gail and myself, their friend Andy Weaver also came along. Andy normally works for Lee Rocker doing merchandising at a lot of venues. 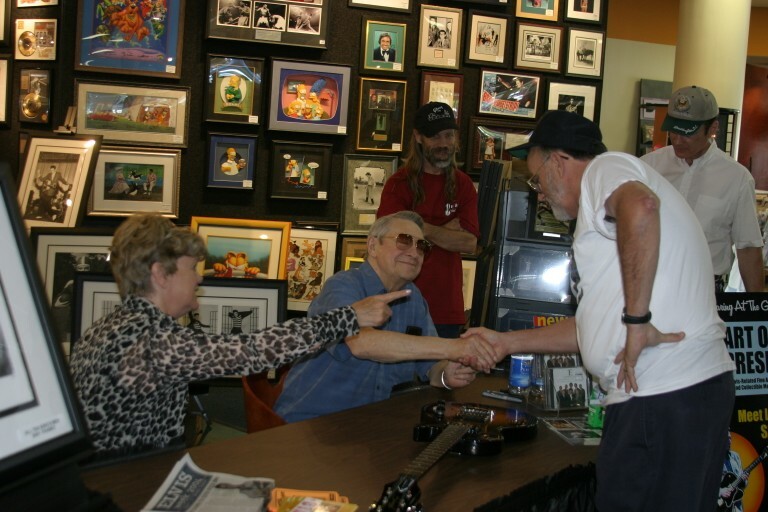 He came all the way out to Memphis from Los Angeles by bus for the Legends show that weekend at the Cannon Ctr. 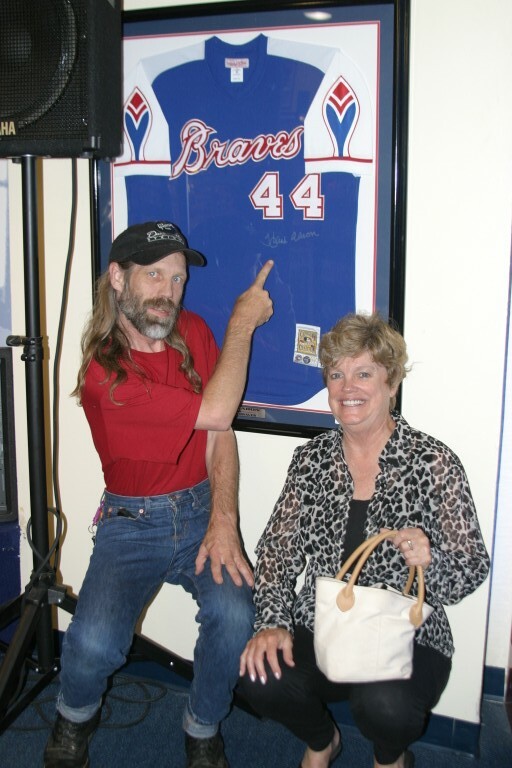 Both he and Gail are big Atlanta Braves fans and were pleased to see the Hank Aaron autographed shirt. Andy took great pride in reminding me that the Braves were originally a Boston team too. A lot of the fans also brought their cameras and got their pictures taken. If you were one of them send us the picture and we'll put it up. At one point Gail was explaining to a fan the spelling of her name (Abigail), and Scotty said it was really "Gab-igail". This necessitated me sitting between them (for Scotty's safety).